Balinese Dance Mask. The gold head dress is an additional piece to enhance the existance of the mask as decoration. Rama and Sita is a pair. 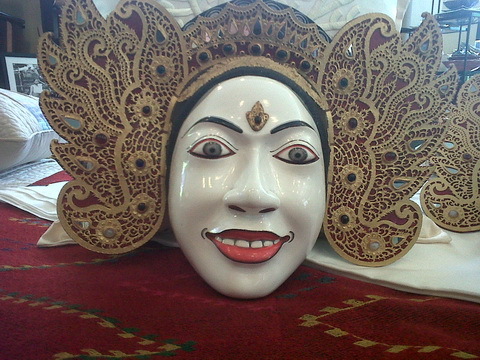 Hand crafted by a master mask maker in Bali.